After seven years of research work, the Microbial Biotechnology laboratory at TERI has developed an efficient bacterial consortium that degrades crude oil and oily sludge very fast. This bacterial consortium was developed by mixing four bacterial strains, which could degrade aliphatic, aromatic, asphaltene, and NSO (nitrogen, sulphur, and oxygen compounds) fractions of crude oil and oily sludge. Crude oil and oily sludge degrading efficiency of the developed bacterial consortium was tested under laboratory conditions and field conditions. A microbial consortium was developed from four bacterial isolates. These isolates were obtained from hydrocarbon-contaminated sites using enrichment methods. 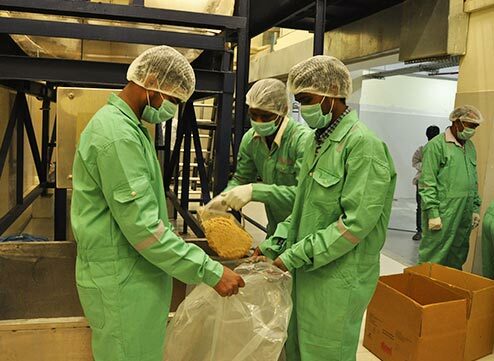 The microbial consortium developed was immobilized with a suitable carrier material, namely powdered corncob, which is an environment-friendly, biodegradable product. The survivability of the consortium in the immobilized condition was determined and was found to be 3 months at ambient temperatures. The immobilized culture was put into sterile polythene bags and sealed aseptically and transported to the place of requirement. This immobilized bacterial consortium was named Oilzapper. The site was tilled thoroughly to mix the oily sludge uniformly with the soil and oilzapper applied into it. The land was tilled again and watered to maintain proper aeration and moisture levels. The land was tilled at regular intervals to facilitate faster degradation. Scientists say that 1010 CFU/KG of Oilzapper today can neutralise a ton of sludge in a matter of months. There are five different bacterial strains that are immobilized and mixed with a carrier material such as powdered corncob. 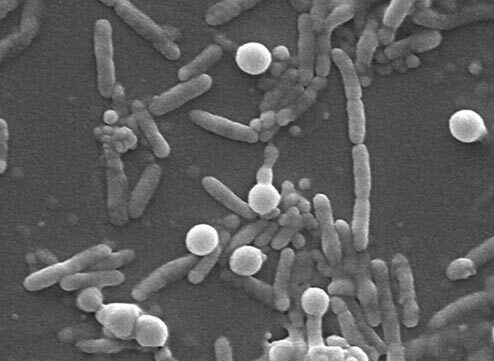 This mixture of five bacteria is called Oilzapper. Oilzapper feeds on hydrocarbon compounds present in crude oil and the hazardous hydrocarbon waste generated by oil refineries, known as Oil Sludge and converts them into harmless CO2 and water. The Oilzapper is neatly packed into sterile polythene bags and sealed aseptically for safe transport. The shelf life of the product is three months at ambient temperature. 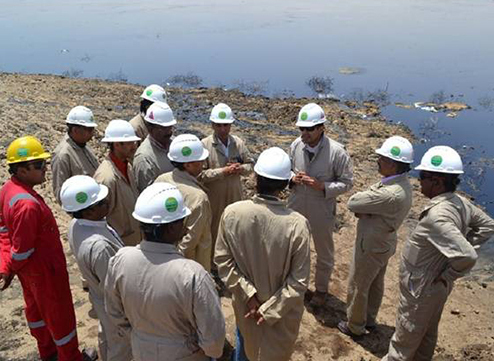 The technique was used successfully and 500,000 tons of oily sludge/ oil contaminated soil were treated as per the leading news sources.